Convenient ready-to-eat low carb snack pack with just 2 net carbs per pack. Low carb, gluten free and no artificial sweeteners. Delicious and satisfying low carb snack to go! 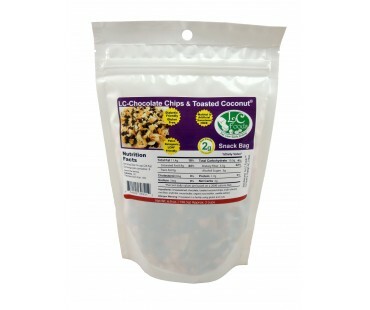 This low carb snack pack has a tasty combination of low carb dark chocolate chips (sweetened with erythritol - no maltitol) and toasted coconut chips. How about sprinkling some over low carb yogurt? 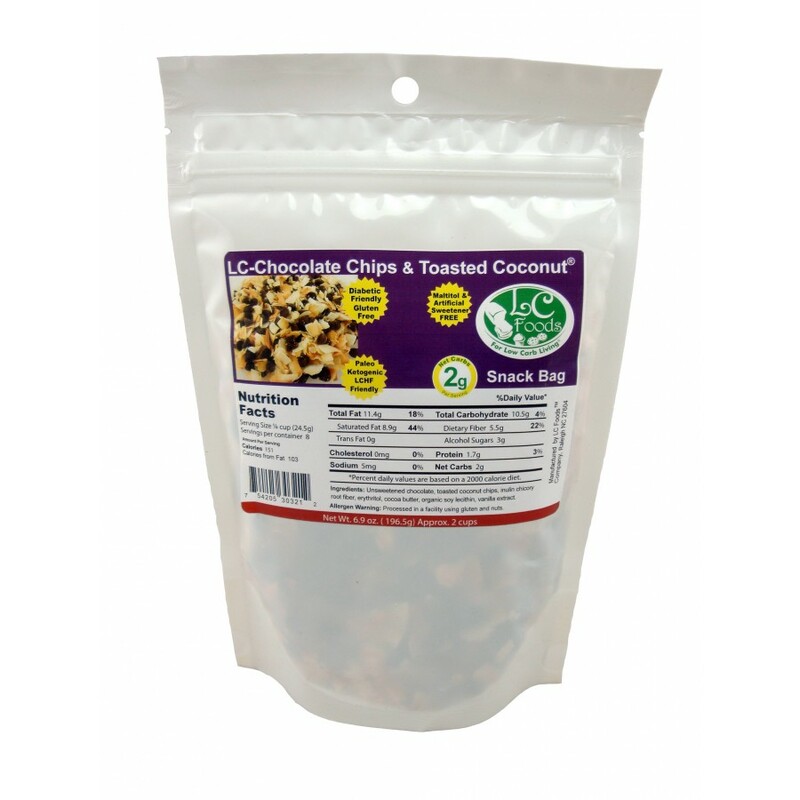 Add some to your low carb hot cereal for a decadent breakfast! 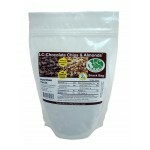 Unsweetened chocolate, toasted coconut chips, inulin chicory root fiber, erythritol, cocoa butter, organic soy lecithin, vanilla extract. I found this flavorful without being overly sweet, and the 1/4 c. serving size is surprisingly satisfying without feeling heavy int the stomach. This would be great for carrying along for food "emergencies" when you are out and about and need something to tide you over until you can get something legal to eat. Very useful, in my book. Thanks for developing this!